Create your Serious Games and simulations quickly, easily and in record time! 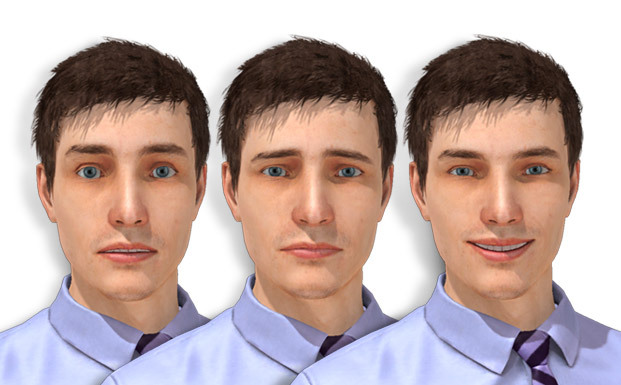 Add the virtual character of your choosing from amongst dozens of animated characters, and select the animations and facial expressions that best correspond to the situation. 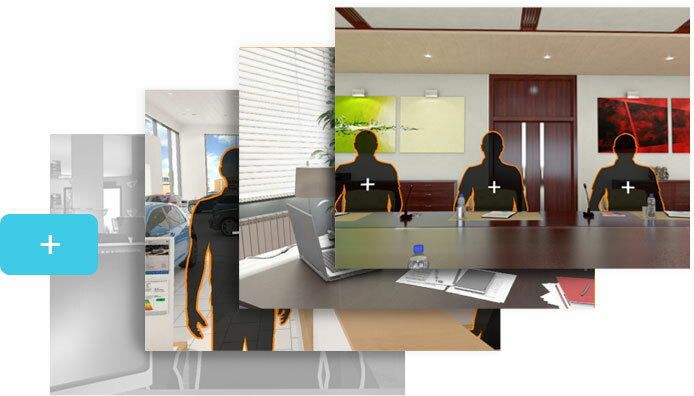 Choose an environment that meets your needs from our large catalogue of realistic static or animated options, or import your own image of your choice. 39 backgrounds are available in our standard version. Emotions can be configured throughout the scenarios; you can define them based on trainee interactions in order to include a behavioural aspect in your training courses. This block allows you to define your participants’ emotional attitudes in order to work on unspoken cues in conversation. These are based on 5 criteria (happiness, anger, sadness, fear and indecision) with multiple intensity levels. 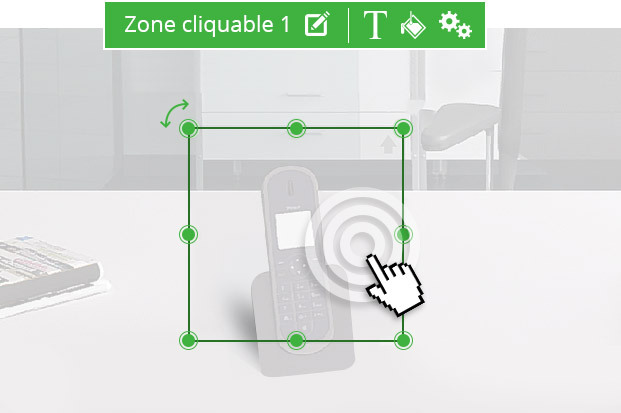 Add animations and interactive elements to any part of your environment using clickable zones that give you a new toolbox of game challenges to present to your trainees. Challenges such as detecting abnormalities in a scene, customised quizzes and navigation menus are now easy to create. Using variables in your Digital Learning modules allows you to customise your trainees’ experiences and improve their engagement. Multiple factors (including name, age, student role, completed modules, or scenarios that are locked depending on student results) can be used to make the modules you develop more interactive. Never the first time... in management? 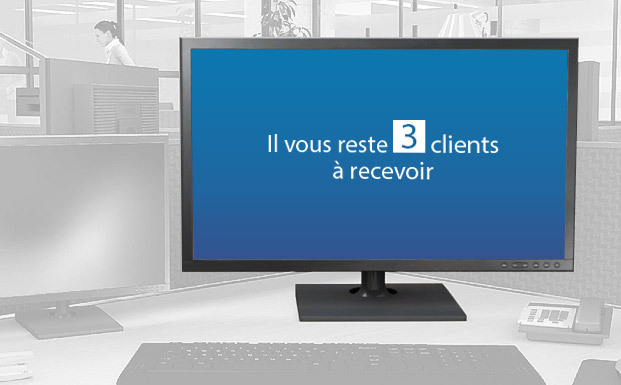 Never the first time... in front of a client? Never the first time... in front of a patient? Never the first time... on a construction site? 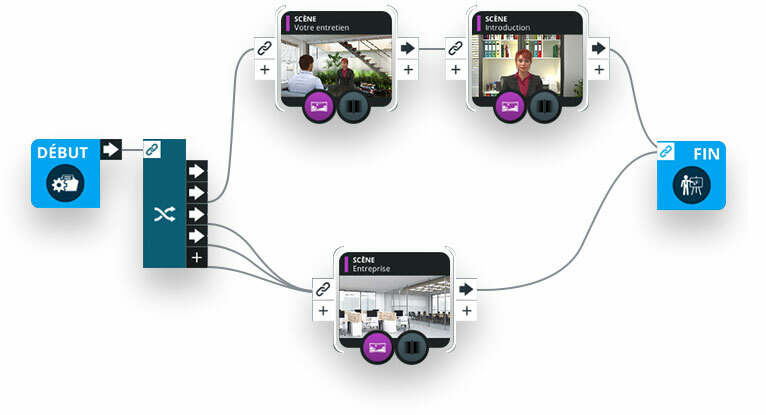 Virtual Training Suite Editor is co-funded by the European Union. Europe is committed to the Île-de-France region with the European Regional Development Fund.